© FoxNews.com Military report releases more details. U.S. Army Sgt. 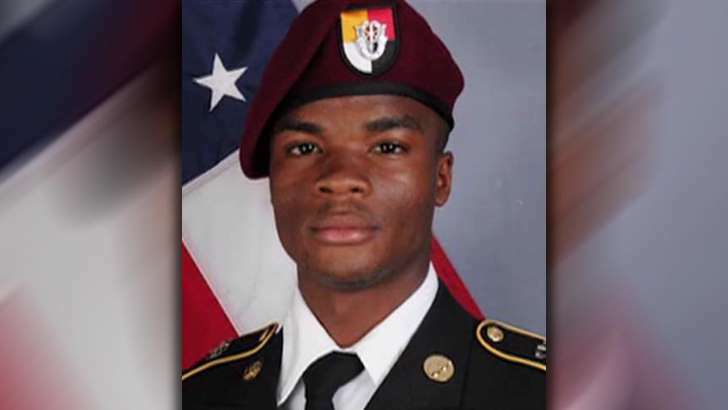 La David Johnson, one of four U.S. soldiers killed Oct. 4 in Niger when ambushed by Islamic extremists, was neither captured nor executed at close range, two senior U.S. defense officials confirmed to Fox News on Sunday. A military investigation into Johnson’s death has concluded, one official said, and that the report — which is due out next month — is “much more comprehensive,” and looked at the entire operation, not just Johnson’s death. Johnson, 25, was killed by enemy rifle and machine gun fire during the attack in which both American and Nigerien troops in a military convoy were ambushed by roughly 50 Islamic extremists. Officials told The Associated Press that a medical investigation concluded Johnson was hit by fire from M-4 rifles and Soviet-made heavy machine guns. His body was found two days after the attack, which left four U.S. soldiers and four Nigerien troops dead, as well as two U.S. and eight Nigerien troops wounded. The bodies of two Green Berets killed in the ambush were located on the day of the attack, while Johnson’s remains were not. This led to questions about whether Johnson was killed in the attack and his remains weren’t found, or if he was taken away by the enemy. Johnson was laid to rest in Florida on Oct. 21. Weeks later on Nov. 12, a joint U.S. Africa Command military investigation discovered additional human remains that positively were identified as those of Johnson.